Filters Plus provides a range of automotive and light truck filters and filtration solutions to offer the industry’s best protection and coverage for your engines. Filter maintenance is the foundation of maintaining and improving a vehicle’s fuel economy and longevity. 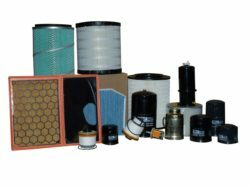 Filters Plus sources its air, oil, coolant and fuel filters from quality assured suppliers who meet the performance requirements appropriate to a range of applications. ISO/TS 16949:2002 is a quality management system standard specific to the automotive industry, which includes all the requirements of the ISO 9000 quality management system standard verbatim. In addition, the standard combines the AVSQ (Italian), EAQF (French) and VDA 6.1 (German) automotive requirements. ISO/TS 16949, coupled with customer-specific requirements, defines the quality system requirements for use in the automotive supply chain. In April 2002, a new revised standard ISO/TS 16949:2002 was introduced. It replaced ISO/TS16949:1999 based on ISO 9001:1994, and is intended to be an alternative to QS-9000:1998 and other national automotive OEM supplier requirements. QS-9000:1998 was officially phased out as of December 15, 2006, and has been replaced by the ISO/TS 16949:2002 standard.